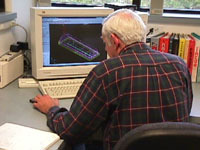 Combining the latest engineering / design software with over 30 years of mold design experience Watertown Plastics Inc. offers all customers in mold design for all molds built by us. 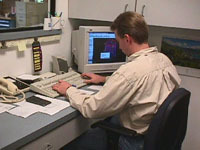 All mold designs are subject to a mold flow analysis prior to building. It is the key to efficient class a mold making and molding at Watertown Plastics Inc.
Cad Key (version 7) and SurfCam 2D and 3D design allow us to take difficult shapes with tight tolerances and transfer them accurately and quickly to finished steel cavities and cores. Our 3D Cad Package allows us to transmit and receive electronic data easily with our preference being IGES or DXF format, expediting the flow of information form our customer(s) to our design engineers, increasing efficiencies and reducing lead-time on mold design and mold making.